Please kindly turn on the volume for a more immersive experience. The music piece autoplaying in the background is “Confluence” by Wang Chen Wei, representing the vibrancy and harmony of Singapore’s multi-racial society, and chosen by Dedric Wong as one of his favourite compositions. Chinese chamber music is rich with beauty, nuance and meaning – so get into a concert hall and listen to a live performance if you haven’t already! That’s the message we think Dedric Wong wants to say, but doesn’t actually say. 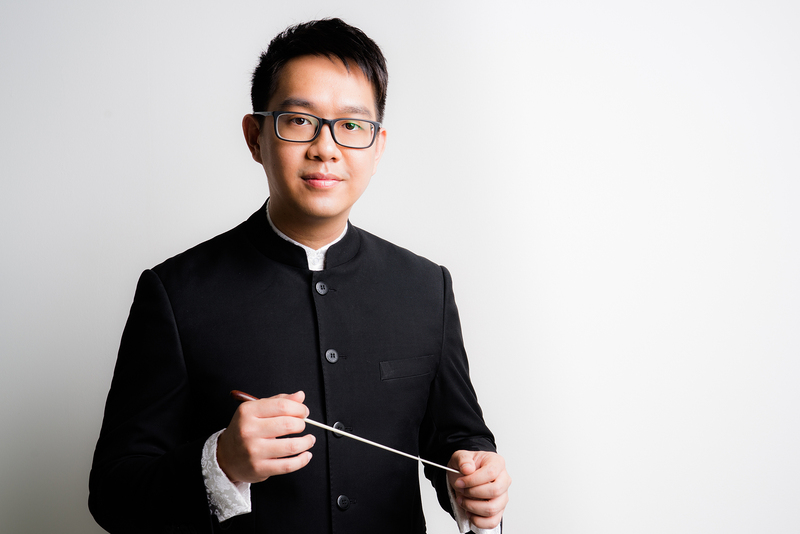 It is clear that the assisting conductor and general manager of Chinese chamber music ensemble Ding Yi Music Company believes the genre has plenty of potential for growth in Singapore. Dedric understands Ding Yi’s challenges well. In Singapore, as with other developed countries in Asia, mainstream instruments such as the piano and guitar continue to be popular amongst hobbyist musicians and professionals alike. Yet the 31-year-old has a compelling answer, as the ensemble turns ten this year. Over the years, Ding Yi has responded with its own take on modernity, seeking to attract audiences of a modern persuasion. It does so by weaving elements not often seen in Chinese classical music performances, such as multimedia and drama, into its productions. In 2014, Ding Yi incorporated calligraphy projections and drums in Of Poetry & Music, a presentation of Tang and Song dynasty poetry. In early August this year, as part of its 10th anniversary celebrations, Ding Yi’s Chinese Chamber Music Festival collaborated with guest troupes from China and Taiwan featuring both traditional and contemporary Chinese music. Performances are just one element in the equation. As a non-profit arts organisation, Ding Yi has a special focus on education and outreach. They conduct a wide range of workshops, masterclasses, lessons and music programmes for students. This is to allow them to fully immerse themselves in an environment where Chinese chamber music flourishes, as well as function as an avenue for budding composers to deepen their expertise. Dedric, who is also one of Ding Yi’s founding members, clearly has unreserved enthusiasm for the Chinese chamber music scene in Singapore. Today, the onus is on musicians, youths, professionals and conductors alike to continue showing Singapore, Asia, and the world why the genre matters, and how it will continue to be appreciated by audiences. Doyenne: What brought you into the world of Chinese chamber music? Dedric Wong: I developed the interest of playing Chinese instruments when I was in my secondary school years and was crazy once I got in touch with the music. I did not enjoy music lessons when I was in primary school, but it was my peers who influenced my love and interest in Chinese music. I decided to change paths, heading to the Nanyang Academy of Fine Arts from polytechnic, to major in the suona, a double-reed horn instrument used in Chinese music. Doyenne: Was this unorthodox choice an easy one to make? My family and friends thought it was a bad decision. Upon graduating in 2008, some seniors, my other friends and I decided to pursue something no one ever tried before in the local Chinese music scene: to set up our own music performance group (now known as Ding Yi). At that time, we were quite unsure about the direction and essence of Chinese chamber music, but we wanted to create an opportunity and avenue for young musicians like us to further our passion for Chinese music. D: Ding Yi has come a long way. As General Manager today, what are your main responsibilities? D: I keep the company moving forward to achieve greater heights. There are many responsibilities, from leading the management team to managing the musicians. It can be challenging at times. One of our most stressful responsibilities is ensuring the sustainability of Ding Yi. We are a non-profit arts organisation and because of that, we have to identify ways to preserve our relevance in society while giving back to the community. D: Do you still find time to play music given your role as a GM-conductor? D: In 2014, I made the decision to give up my post as a musician and continue my path as a conductor. I am grateful that Ding Yi gave me the opportunity to be the Assistant Conductor of the Ensemble in 2015. Under the guidance of Mr Quek Ling Kiong, I was – and am still able – to plan and curate some of the concerts and outreach performance for Ding Yi. It’s really tedious to hold two positions. I only have time at night to really sit down quietly and study the scores after a long day of work. However, I am fortunate to have a team of good colleagues to allow me to ease my mind and concentrate on music making. D: What is something about traditional Chinese instruments most don't know about? D: We have to adopt a different perspective when listening to Chinese chamber music. You should not listen to Chinese music with a pop or western classical music “ear”. Instead, try to listen using a cultural point of view, teasing out the details and story from the music. Most importantly, this is music from the roots of our Chinese culture! D: You’ve extensively represented Singapore in many Asian festivals regionally. How does Singapore's Chinese chamber music scene fare against the rest? D: As a representative of Singapore’s Chinese chamber music, we are still developing and growing well. I believe we have a good future ahead. More people, especially Chinese music listeners, composers and music practitioners are recognising Chinese chamber music and can identify the differences between chamber and orchestral music. D: Are there any key events or initiatives by Ding Yi for the rest of 2017? D: We have an East meets West chamber music concert, happening soon on 3 Sep 2017, 7.30pm at the Esplanade Recital Studio. This is an especially interesting and rare collaboration, as we are collaborating with a renowned Finnish woodwind quintet, The Fantasia Quintet. The concert is not just about bringing Chinese music and Western woodwind together but transcending borders. On 3 Dec 2017, in collaboration with Esplanade, we are also going to conduct Songs of the Dragon Kiln. It is a unique multidisciplinary music production comprising Chinese music, handicrafts and film. We are featuring the Dragon Kiln, a forgotten cultural Singapore relic and a once vibrant trade in Singapore. Images by Ding Yi Music Company. “Confluence” is a composition by Wang Chen Wei representing the vibrancy and harmony of Singapore’s multi-racial society. Indian and Malay-Indonesian musical styles are fused with Western compositional techniques of counterpoint and fugue, and performed on Chinese instruments. It was chosen by Dedric Wong as one of his favourite compositions. 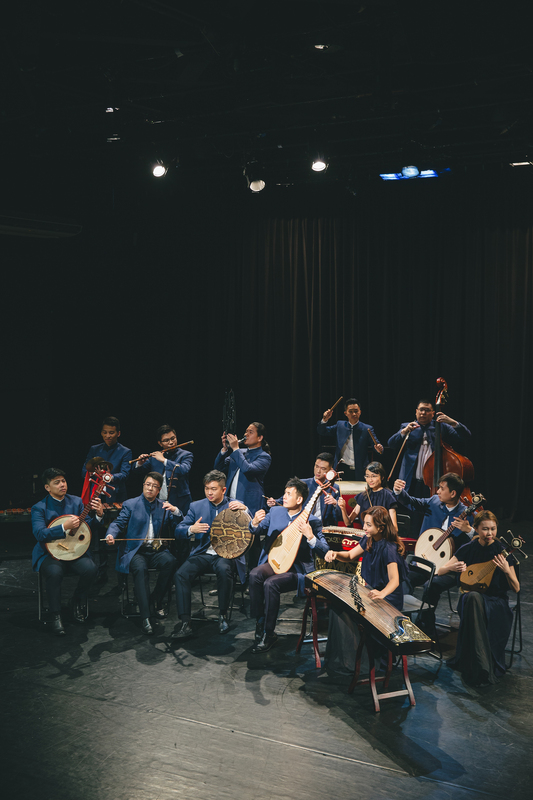 Established in 2007, Ding Yi Music Company (previously known as Arts Sphere Chamber Ensemble) describes itself as one of “Singapore’s most prodigious Chinese chamber music ensembles”. Visit Ding Yi Music Company’s official website for more information.